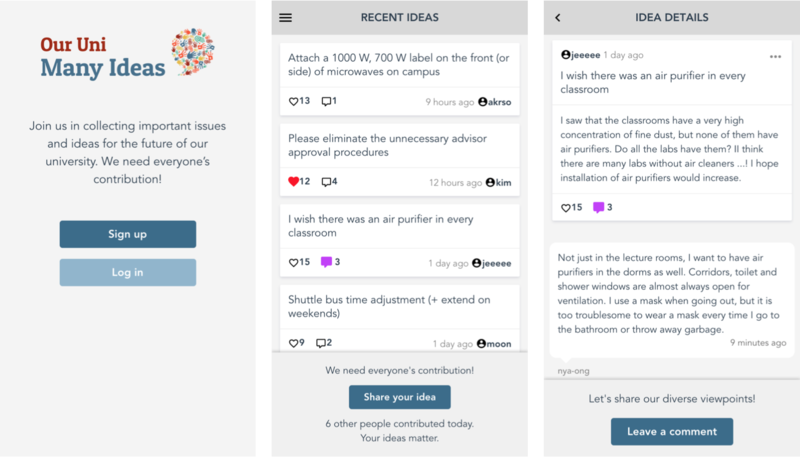 Many Ideas is a crowd-civic system in which members of a community engage with each other to collect issues, generate ideas, and discuss matters of concern. The system acts as a testbed for researching new design to increase diverse participation. In our first study, we investigated the effect of personalized motivation-supportive messages.